Louder Than Life Pre-Sale on sale now!! Why wait a whole year to rock out with your favorite bands? Pack your bags and take the short trip to Bourbon City for three action-packed days at Louder Than Life! 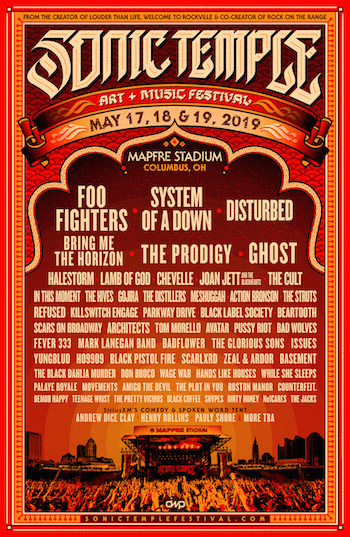 Louisville turns up the volume at Champion’s Park with Nine Inch Nails, Avenged Sevenfold, Godsmack, Deftones, Limp Bizkit, Shinedown, Underoath and many more this September 28th, 29th and 30th. Click below and use the password TRYLOUDER to be the first to purchase your passes.